Jelly Belly Conjures New Harry Potter Candies! If you’ve had the occasion to meander through the aisles of Honeydukes at one of Universal’s Wizarding World parks, you know the satisfying feeling of selecting delectable Harry Potter-inspired treats from those shelves, walking out of the shop with a bag full of favorites and then savoring every single bite. 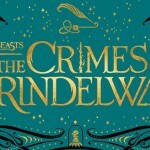 Enjoying a candy straight from the pages of J.K. Rowling’s book series creates a visceral connection to the Potter world–it truly is a magical experience. So, it’s amazing that Jelly Belly has also been making Harry Potter-inspired candies for some time now–candies that are available through Jelly Belly’s online site and at retailers and distributors nationwide!–because, as much as we’d like to, it’s just not possible to apparate to Hollywood, Orlando or Japan every time we want to immerse ourselves in the sweet, sweet world of wizarding delicacies. Now, Jelly Belly will release four new enchanted treats on Oct. 1, and we are all Harry and Ron on the Hogwarts Express after the trolley comes through. 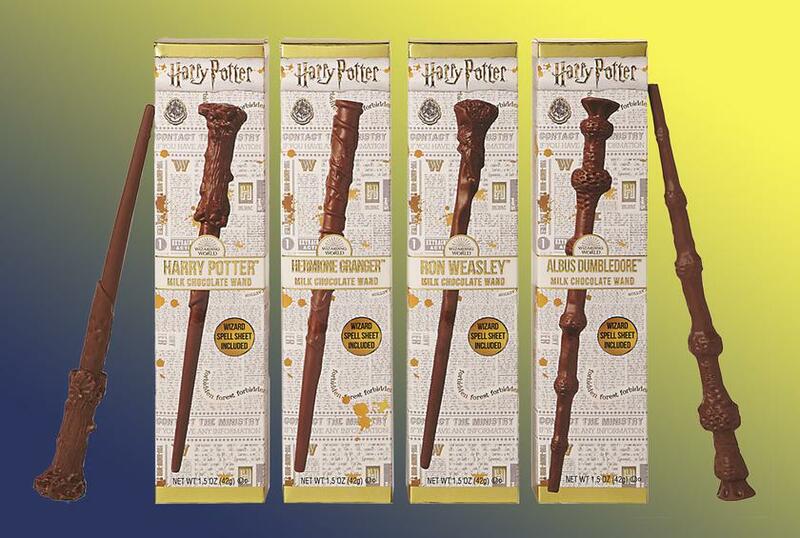 According to the Daily Mail, Jelly Belly has conjured up 1.5-ounce chocolate replicas of four iconic wands from the film adaptations: Harry Potter, Hermione Granger, Ron Weasley and, of course, Albus Dumbledore’s Elder Wand. With such intricate detailing, they will not only satisfy your taste buds, but also your eye for aesthetic appeal as well. They look almost too real to eat! 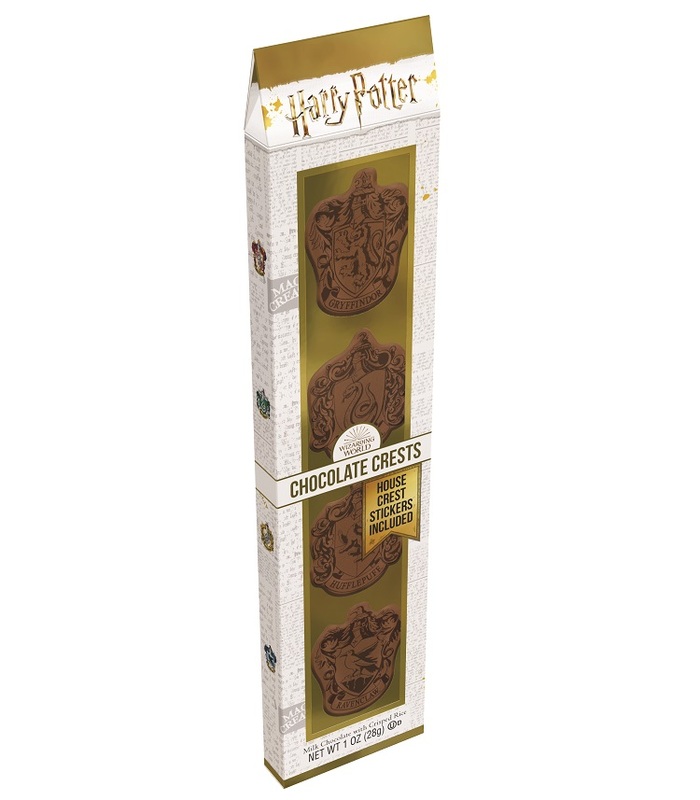 And, along with the chocolate wand itself, the box includes a wizard spell sheet in case aspiring witches and wizards want to practice their charms before rewarding their hard work with the sweet treat. 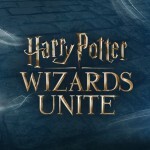 Chocolate lovers will also be able to purchase a set of milk chocolates with crisped rice formed into each of the unforgettable House Crests from Gryffindor, Ravenclaw, Hufflepuff and Slytherin. (Just eat your least favorite house first.) And, after you’re done, you can still demonstrate House pride by having some fun with the House Crest stickers included! If neither the wands nor the crests strike your fancy, Jelly Belly will also offer molded chocolate creatures made of milk chocolate and crisped rice. 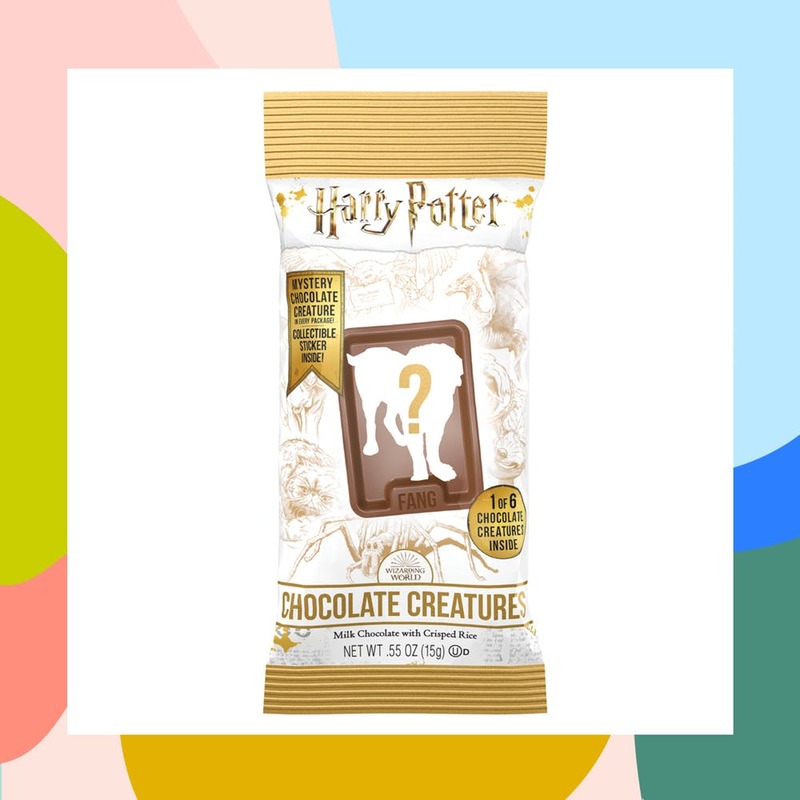 According to Brit.co, this is a mystery treat, meaning you won’t know which of six magical creatures you’ll be eating until you open the package, but it will be either Aragog, Crookshanks, Fang, Fluffy, Hedwig or a Thestral. Also included is a collectible sticker! Finally, for those interested in something lighter and fruitier, Jelly Belly has concocted gummi creatures in four delightful flavor combinations: cherry/lime, cherry/blueberry, blueberry/lime and lime/orange. 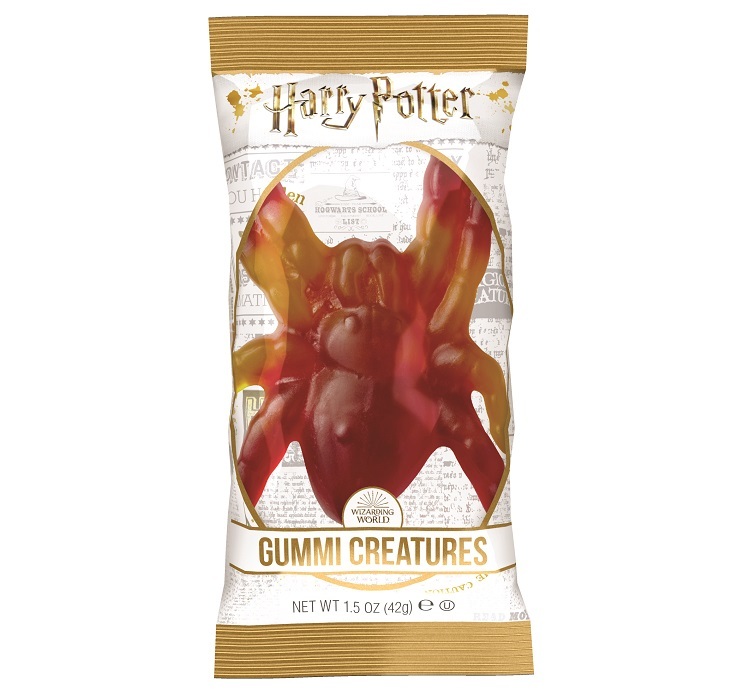 These chewy candies will come in the shape of five of our favorite Potter creatures: Fang, Fluffy, Buckbeak, Hedwig and Aragog. 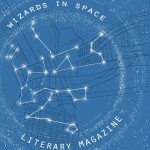 We have to say, these are the kind of “fantastic beasts” any fan will want in their home! So, Potter fans, will you be picking up one or all of these new Jelly Belly candies when October finally arrives? Let us know which you plan to try first!